* September is National Honey Month. * A honey bee can fly up to 15 miles per hour. * The average worker honey bee makes about 1/12th of a teaspoon of honey in her lifetime. 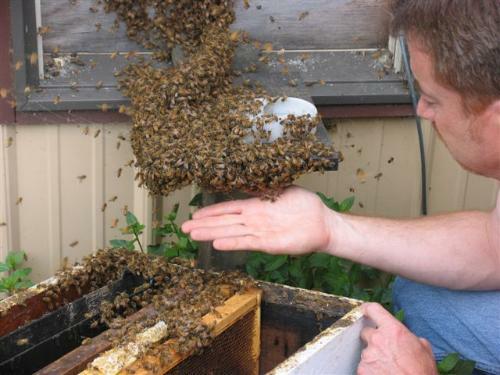 * To make 1 pound of honey, honey bees must tap 2,000,000 flowers. * A hive of honey bees must fly over 55,000 miles to bring in one pound of honey. * It would take about one ounce (two tablespoons) of honey to fuel a honey bee’s flight around the world. * The U.S. per capita consumption of honey is 1.1 pounds. * To make one pound of honey, honey bees must gather 10 pounds of nectar. * A honey bee visits between 50-100 flowers during one collection trip. * Honey bees communicate through a series of “dances” and use the sun as a reference point to communicate to other bees the angle of flight to be followed to arrive at newly discovered nectar-bearing flowers.